Elena Myers is the first woman to win an AMA Pro Supersport road race, and she did it in 2010 at the tender age of 16. She's a genuinely nice person, and she's beautiful. 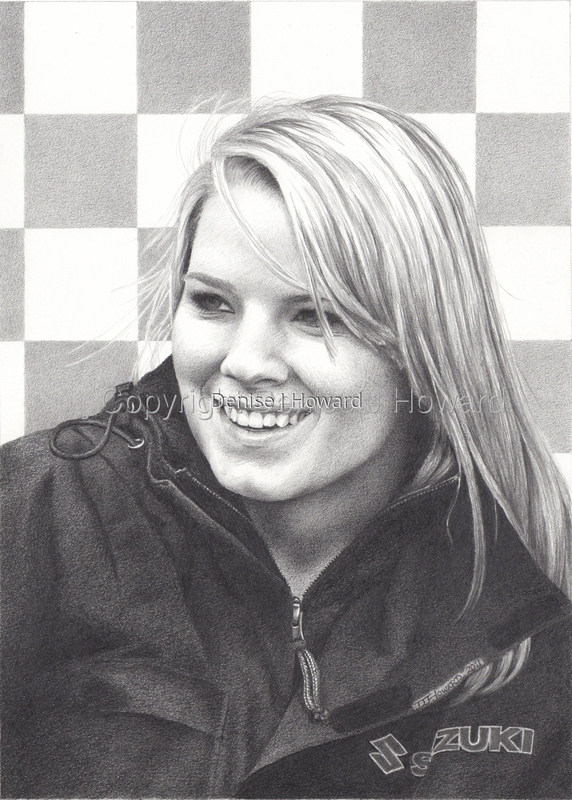 Included in the book "Amazing Pencil Portraits 3", 2011. 7" x 5"11.25" x 8"15.375" x 11"19.625" x 14"